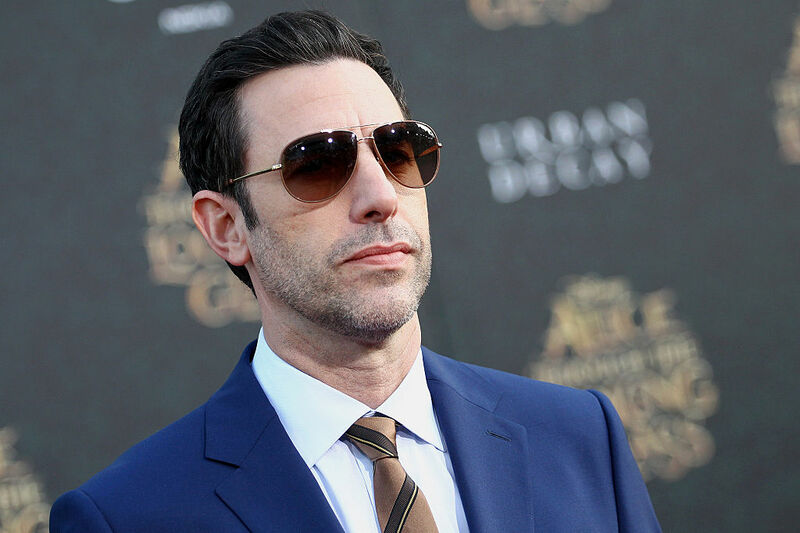 Honestly, I think Sacha Baron Cohen looks way more like Freddie Mercury than Rami Malek does. I was really excited to see Sacha take on the role when the project was announced back in 2010, but alas, it wasn’t meant to be. In 2011, Queen guitarist Brian May said he approved of Baron Cohen as Mercury but also had some concerns about the film’s direction. 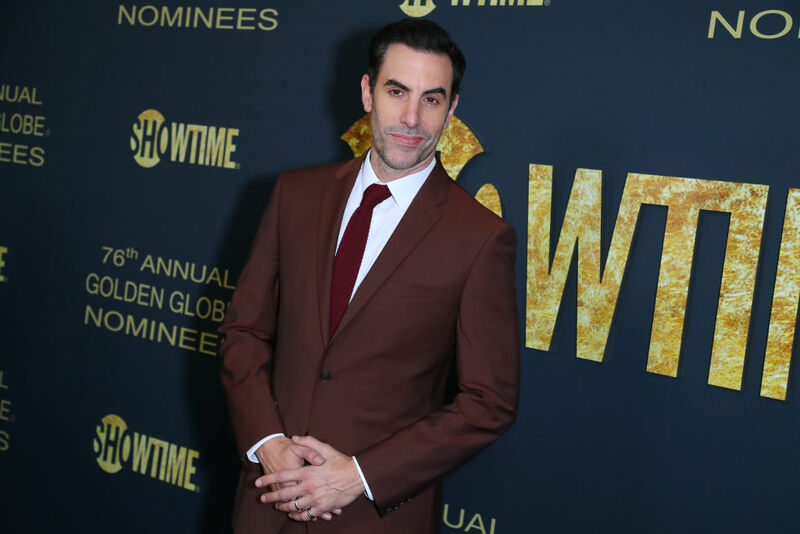 In 2013, Baron Cohen left the project over creative differences. He wanted a “gritty R-rated tell-all” and the band wanted a more PG biopic. 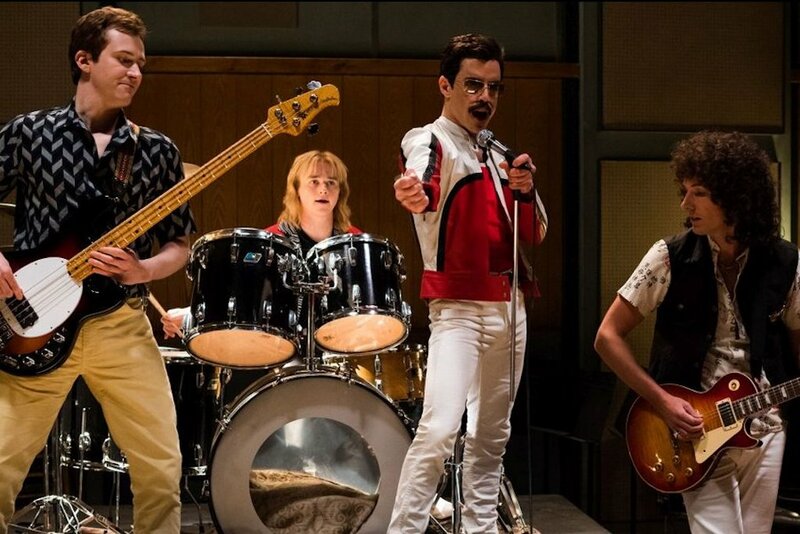 It’s impossible to fit every fact about Freddie Mercury into a two-hour movie, but creators of Bohemian Rhapsody felt that is was very important to include Freddie’s very real love of cats. At one point, Mercury owned 10 cats. When he was on the road, he’d call home and ask to speak to his cats on the phone. If you pay attention during the lead-up to the Live Aid show, you can see Mercury run into a smiling member of U2 as he enters the stage at Wembley Stadium. According to one Redditor, an extra filled the role of Bono. 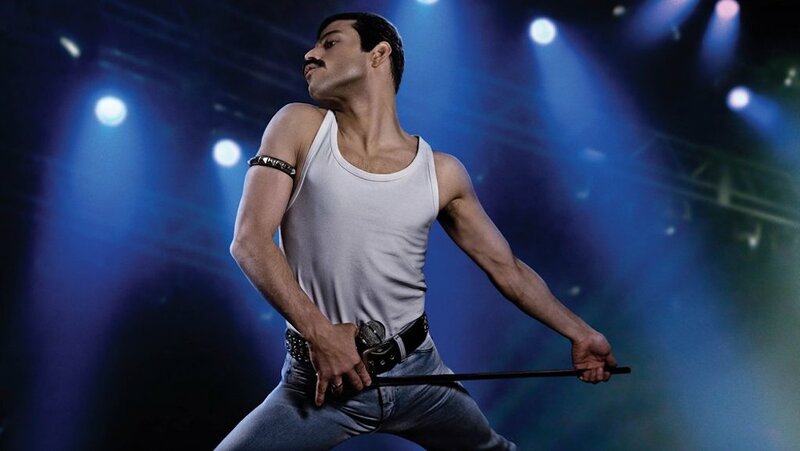 Rami Malek believes that he was only cast as Freddie Mercury because of his jawline, but we think his superb acting talent also had something to do with it. 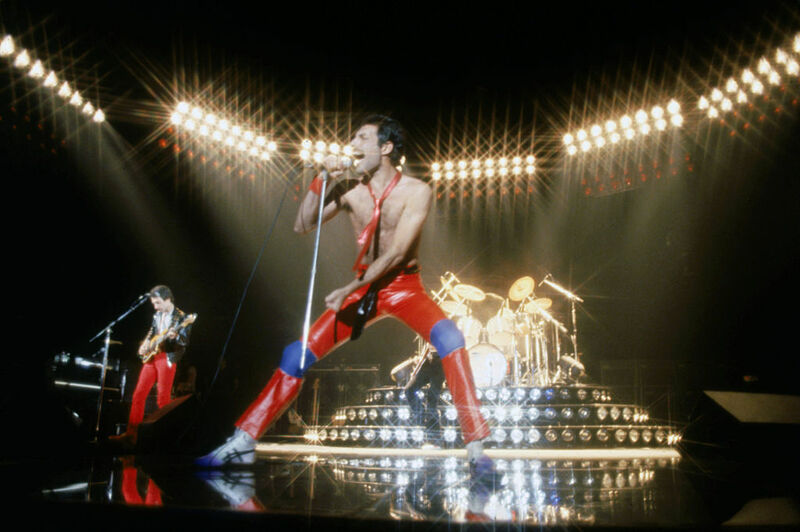 At the end of the movie, Queen plays a number of their songs, including “Bohemian Rhapsody,” at the 1985 Live Aid concert at Wembley Stadium. Although this is the last scene in the movie, it was actually shot first. 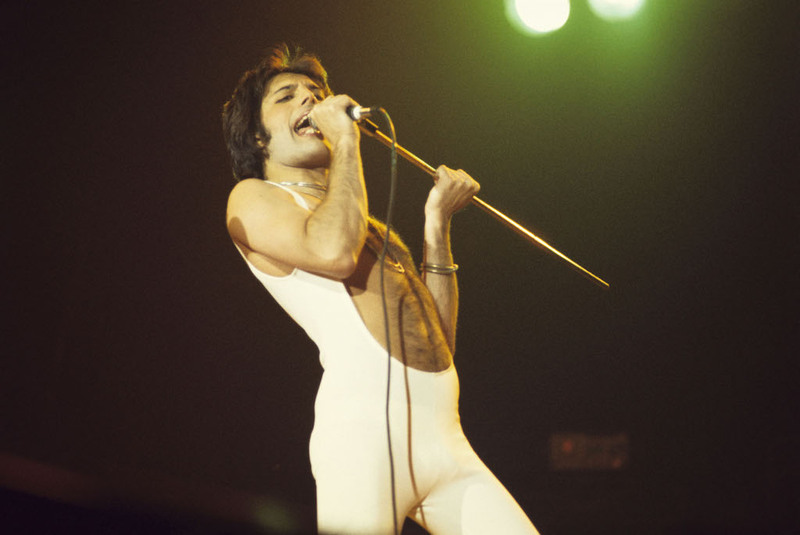 In real life, Freddie Mercury was diagnosed with AIDS after the Live Aid concert, not before. 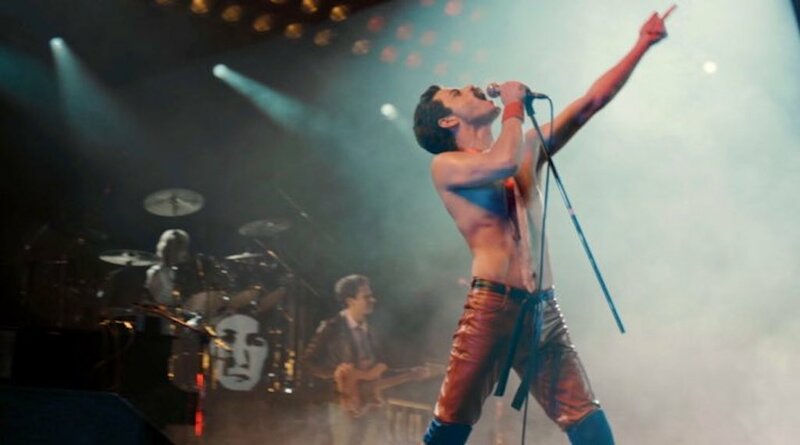 Bohemian Rhapsody has been criticized for playing fast and loose with the real facts of Freddie Mercury’s life. 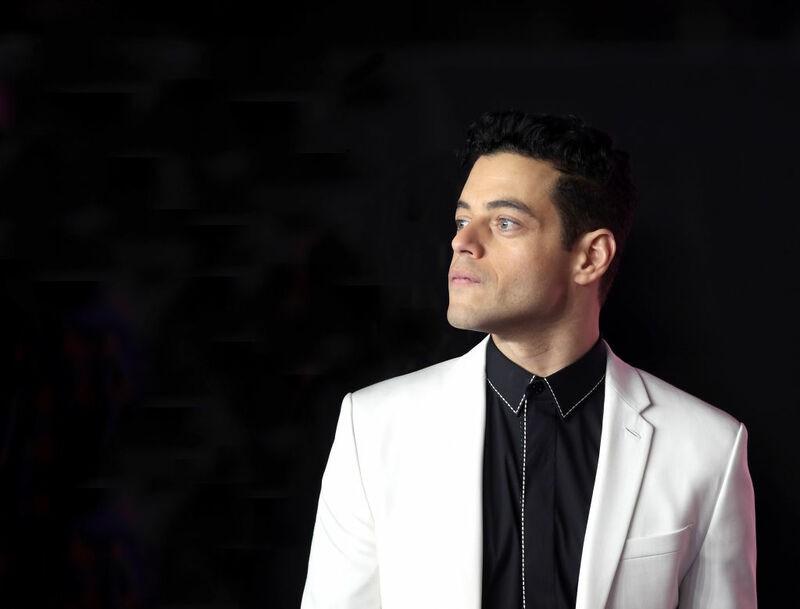 When Rami Malek was preparing to play Freddie Mercury, he had the option of working with choreographers to perfect his dance moves. Malek thought that strict choreography wouldn’t be a very Freddie thing to do. 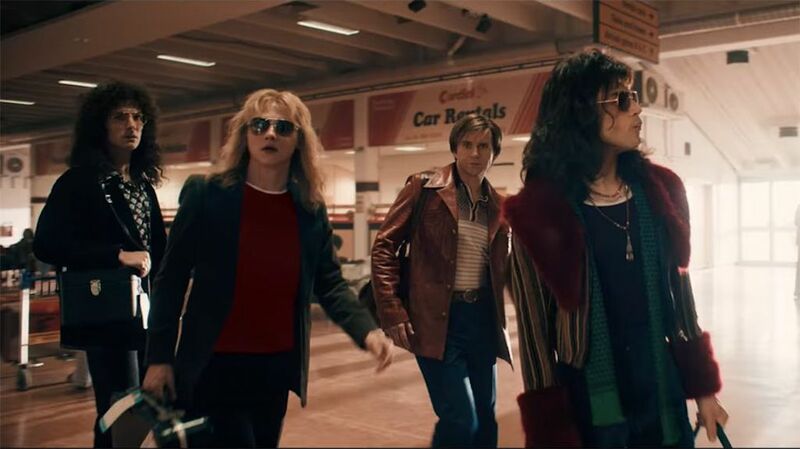 In the movie, Lucy Boynton plays Mary Austin, a woman Freddie Mercury once referred to as the “love of his life.” They were together for six years and even got engaged. However, they split when Mercury revealed he was bisexual and wanted to date men. Mary thought that Freddie was gay, not bisexual, plus he was having an affair with a man while he was engaged to her. Something good came out of their relationship though. Now Lucy Boynton and Rami Malek are dating in real life. Recently they were spotted at a basketball game together. 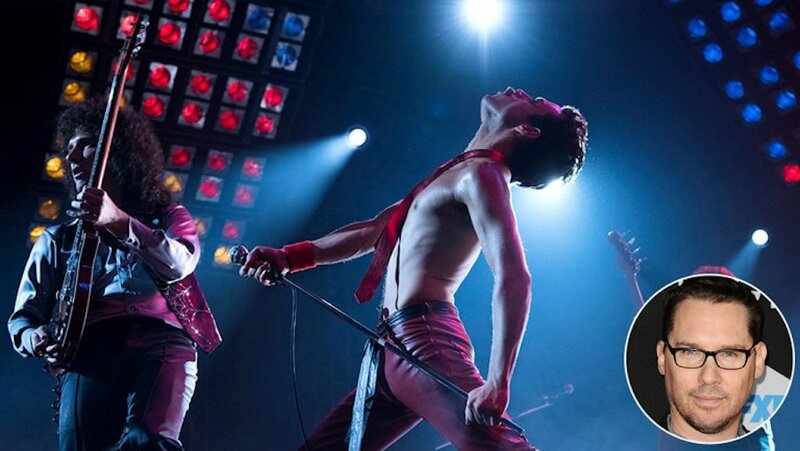 When you hear Freddie Mercury singing in the movie, you’re sort of hearing Rami Malek’s singing voice. 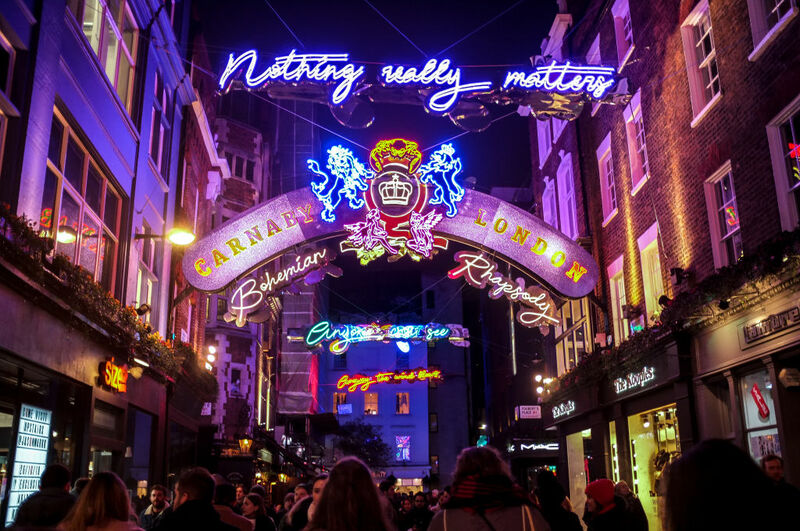 What you’re actually hearing is a blend of Rami Malek, a singer named Marc Martel (A Mercury imitator who sounds an awful lot like the man himself), and Mercury. In Bohemian Rhapsody, Freddie Mercury goes solo with the album “Mr. Bad Guy” a few months before Queen is scheduled to perform at the Live Aid concert. This causes a lot of tension between the members of the band. In reality, drummer Roger Taylor had made two solo albums before Live Aid. 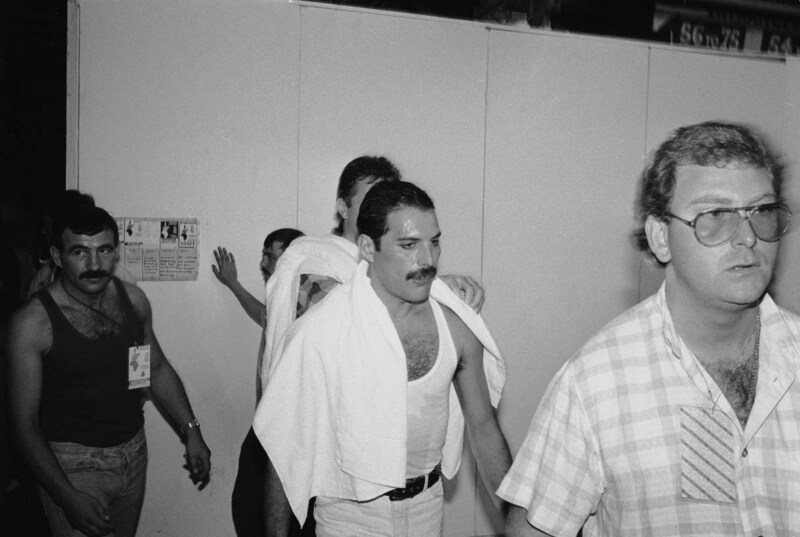 Neither Freddie nor Taylor expressed any interest in leaving the band or skipping the performance at the Live Aid concert. You can’t be Freddie Mercury without Freddie Mercury’s signature teeth. 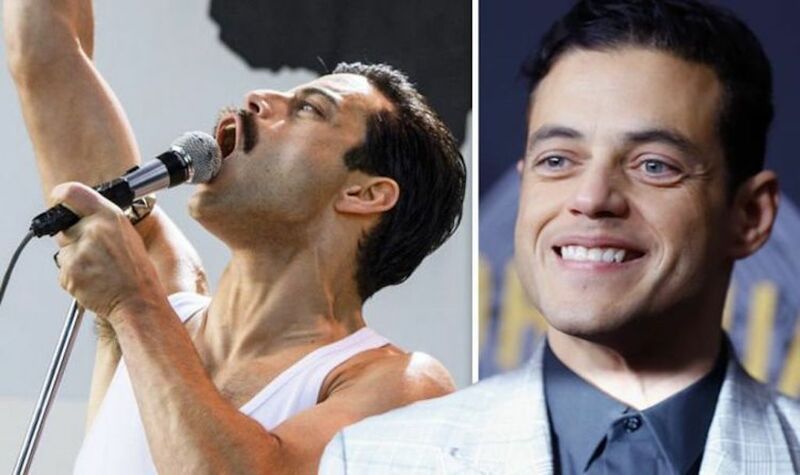 The fake teeth were a huge part of Rami Malek’s transformation into the Queen frontman. Malek said that it was hard to act (and apparently kiss) in the fake teeth. After the movie was done, Malek wanted to honor the teeth properly. He told Ellen DeGeneres, “I kept them, and then I said, what would Freddie do? He’d do the most ostentatious thing he could.” Yup, that’s right. Malek had them cast in gold. 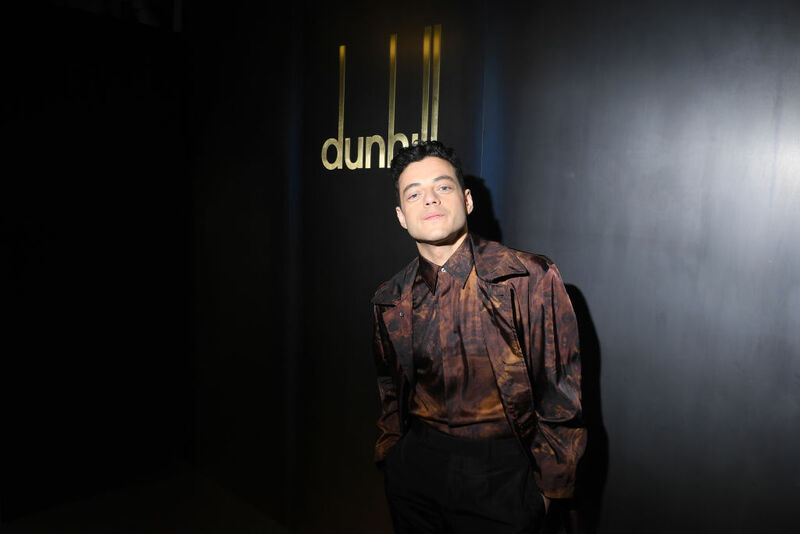 In an interview with Fashionista, costume designer Julian Day discussed his work on the set of Bohemian Rhapsody.He mentioned that many of the costumes Rami wore in the film were actually garments that belonged to Freddie Mercury himself. For example, the cropped white leather jacket that made Freddie look like an “angry lizard” was found in Jimi Hendrix’s flat after he died. 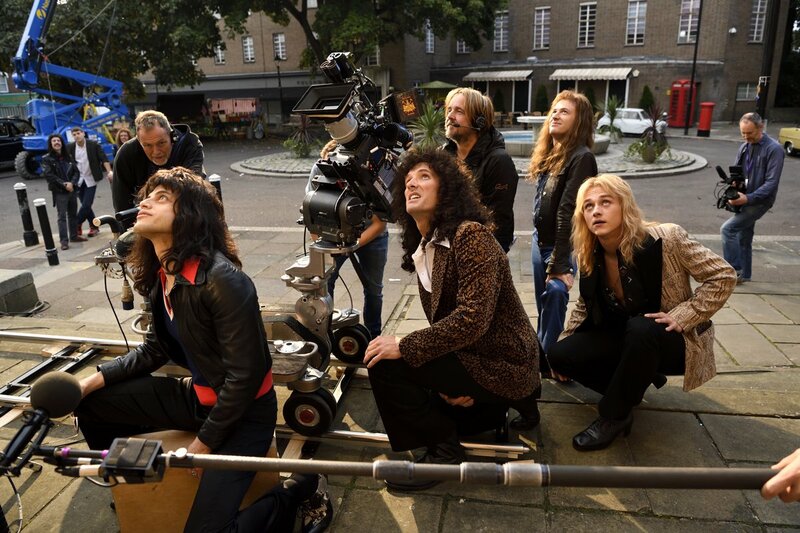 Apparently, Brian May had very strong opinions about the costumes in the movie, so he loaned the actors a lot of the clothes he actually wore in the ’70s and ’80s. 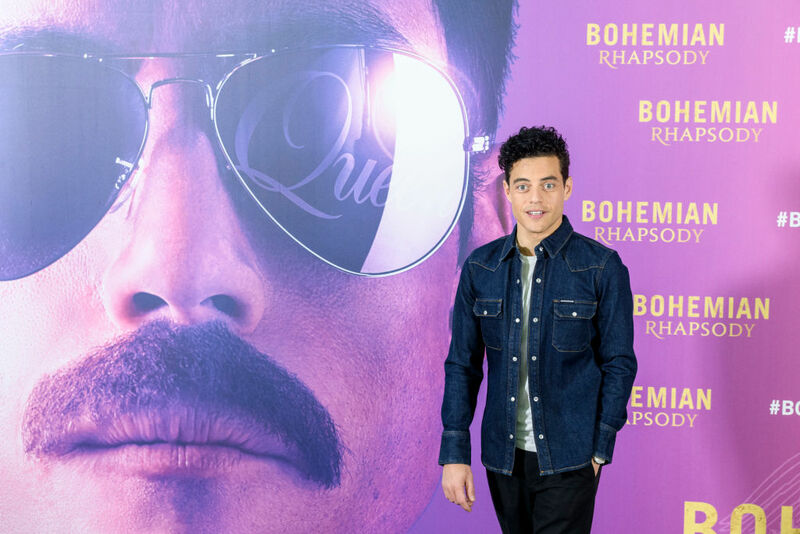 In order to accurately represent Freddie on screen, Rami received a lot of input from people who knew the man well. Obviously, the living members of Queen were all involved in the creation of the film. In an interview with Vanity Fair, Malek revealed that he got a chance to speak to Freddie’s sister, Kashmira Cooke. Foster’s character is loosely based on Roy Featherstone, a producer with a much cooler name, but Featherstone actually loved Queen. There were a few executives who said that no radio station would play a six-minute song, and Foster is something of an amalgam of all of them. 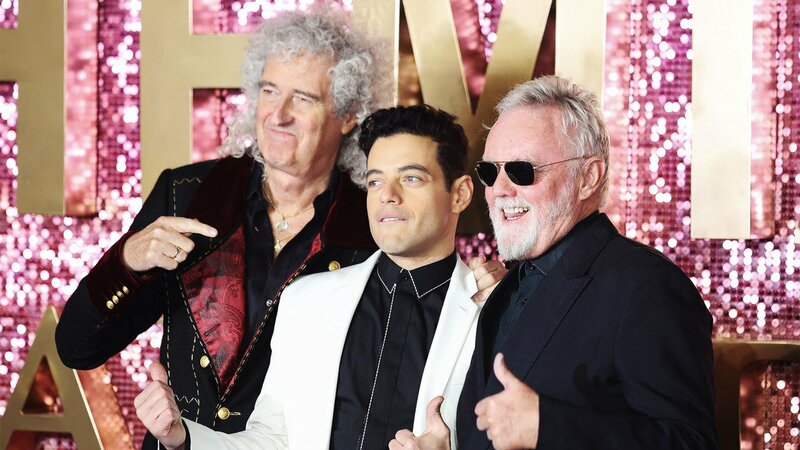 In the movie, Freddie Mercury meets his future bandmates Roger Taylor and Brian May when he attends a Smile show in 1970 and then speaks to Brian and Roger backstage. There he learns that the band’s bassist and singer Tim Staffell was quitting the band. Roger and May didn’t know what to make of his Freddie’s shy persona. According to several authorized biographies, Mercury already knew May, Taylor, and Staffell. The four of them even shared an apartment. Also, Freddie was a lot of things, but shy definitely wasn’t one of them. In the movie, Freddie meets Mary Austin pretty early when his last name is still Bulsara. He sees her backstage at the Smile concert and they form an immediate connection. 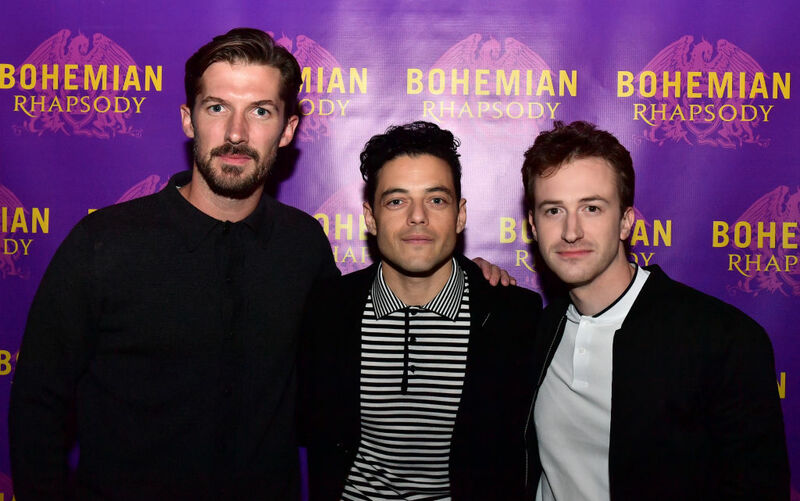 In Bohemian Rhapsody, Freddie meets Jim Hutton at a wild party at his own home. 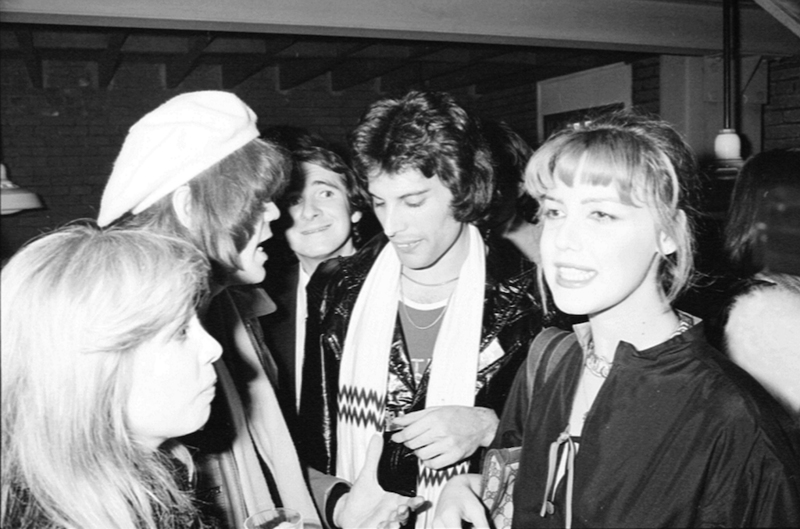 Jim was one of the servers at the party, and Freddie drunkenly hits on him. In real life, Mercury met Hutton, an Irish hairdresser, at a London club called Heaven sometime in the early ’80s. Hutton later reportedly moved into Mercury’s house. Mercury told Hutton that he was HIV positive and that he would understand if Hutton wanted to end their relationship. Hutton stayed by Freddie’s side until the very end. 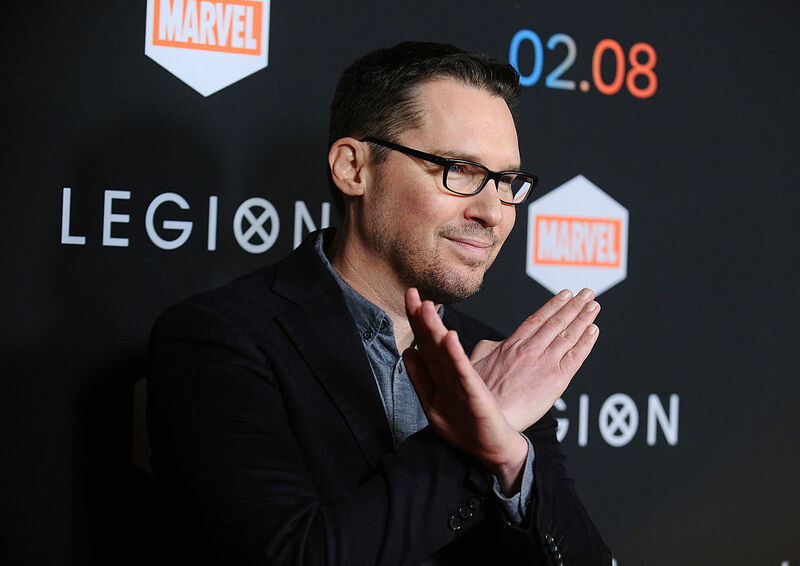 The director of Bohemian Rhapsody, Bryan Singer was fired from the project in December 2017. During production, he’d show up to the set late and sometimes he wouldn’t show up at all. 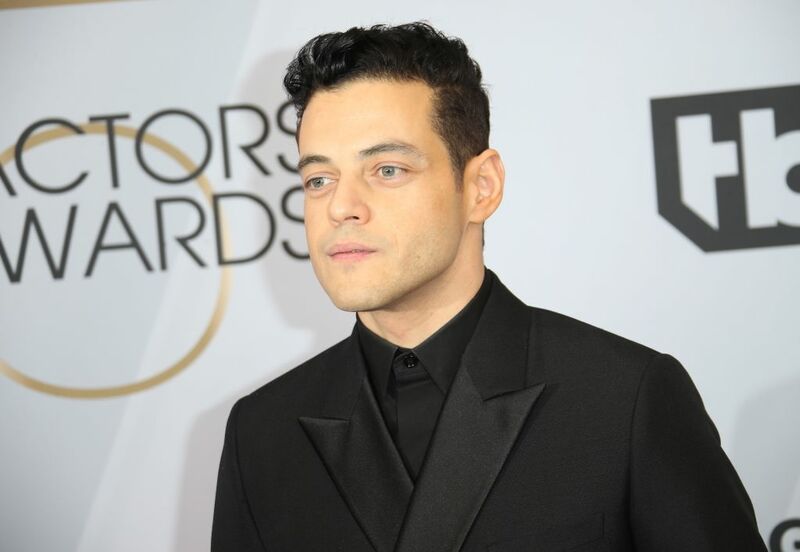 He picked fights with the actors and got on Rami Malek’s last nerve. In addition to being an all around pain to work with, Bryan Singer is a sexual predator. Young men have been accusing Singer of sexual assault since 1997. Actor and model Michael Egan said that Singer drugged and assaulted him in Hawaii when he was a minor. Cesar Sanchez-Guzman said that Singer assaulted him when he was 17. Alex French and Maximilian Potter said that Singer assaulted them when they were underage. 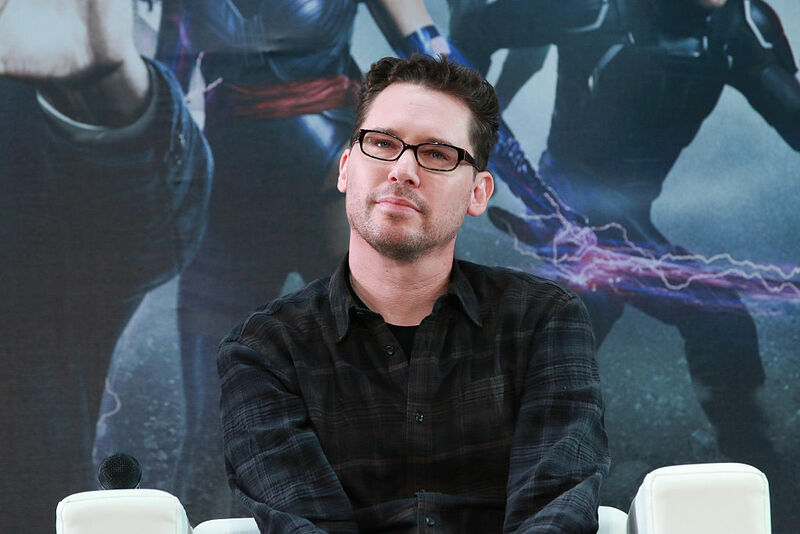 How Bryan Singer was able to keep his job in the entertainment industry for so many years is beyond me. 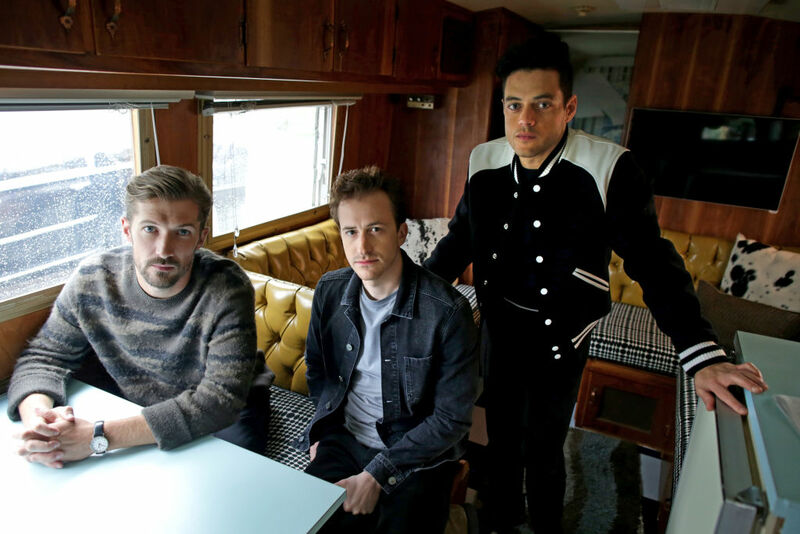 After sexual assault accusations resurfaced this year, GLAAD withdrew Bohemian Rhapsody‘s nomination for the GLAAD Media Award in the Outstanding Film – Wide Release category. 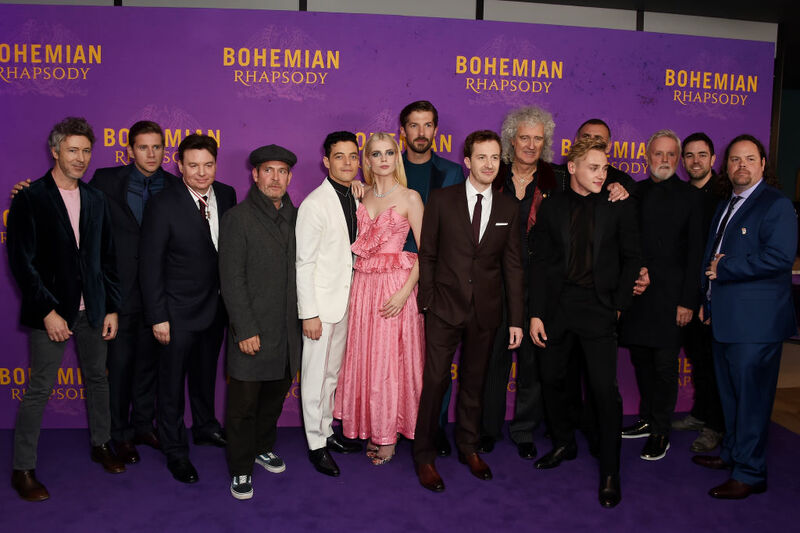 In the film Bohemian Rhapsody, Queen asked John Reid to be their manager around the same time that they started working on A Night at the Opera. Then Mercury fires Reid for suggesting that Freddie should leave Queen and pursue a solo career. In real life, Reid split from Queen in 1977, and the break-up was pretty peaceful. 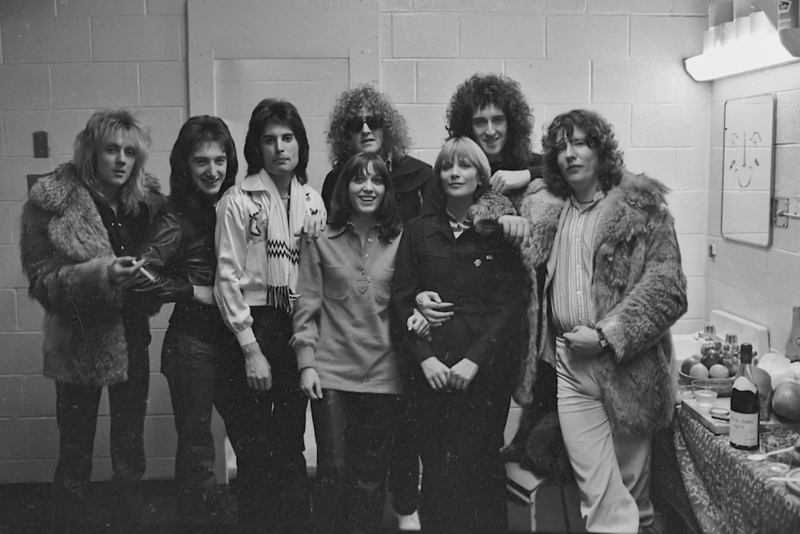 Jim Beach, the band’s lawyer at the time, took over as Queen’s manager, and he’s still the band’s manager today. One of the main antagonists in Bohemian Rhapsody is Freddie’s personal assistant, Paul Prenter. 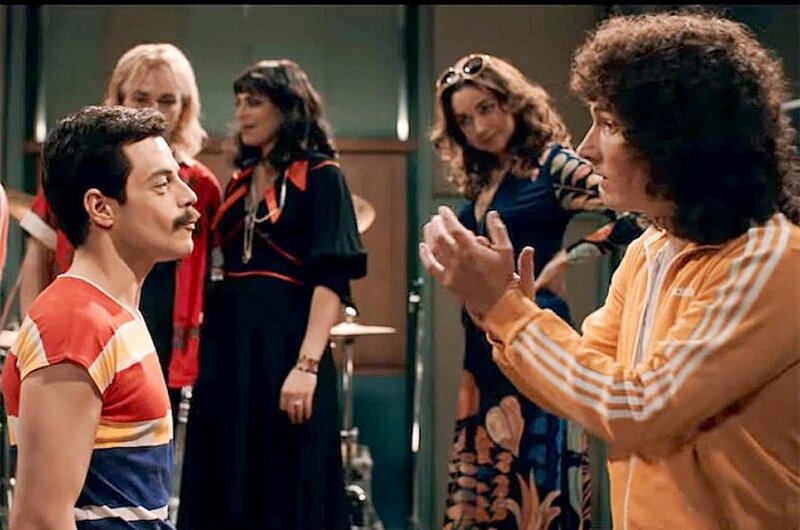 In the movie, Freddie fires Prenter because he finds out that Prenter didn’t tell him about the upcoming Live Aid event. Then Prenter talks to the press about Freddie’s controversial personal life. In reality, Freddie fired Prenter for a completely different reason. It was because he threw a party at Freddie’s house and the place got trashed. 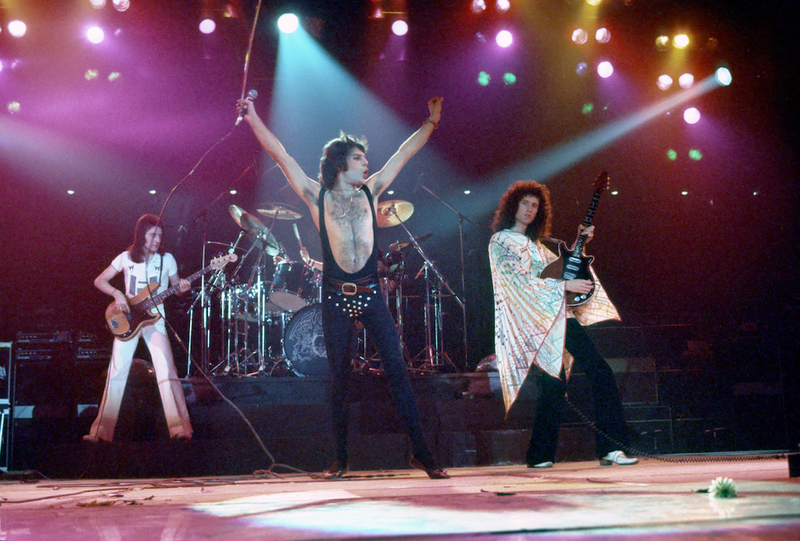 None of the members of Queen really liked Paul Prenter, and they thought he was a bad influence on Freddie. Prenter died in 1991 of AIDS-related complications. 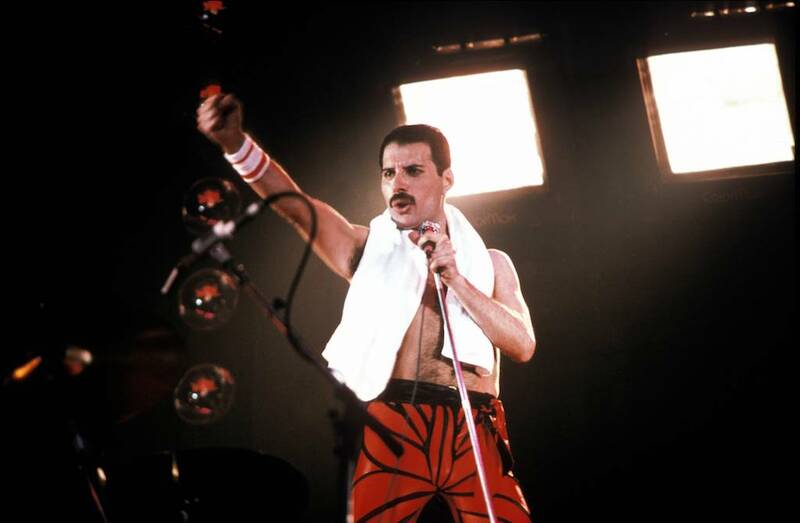 In the scene where Brian teaches his bandmates the handclapping portion of “We Will Rock You,” Freddie can be seen sporting a thick mustache and shorter hair. This is Freddie’s 1980s look. 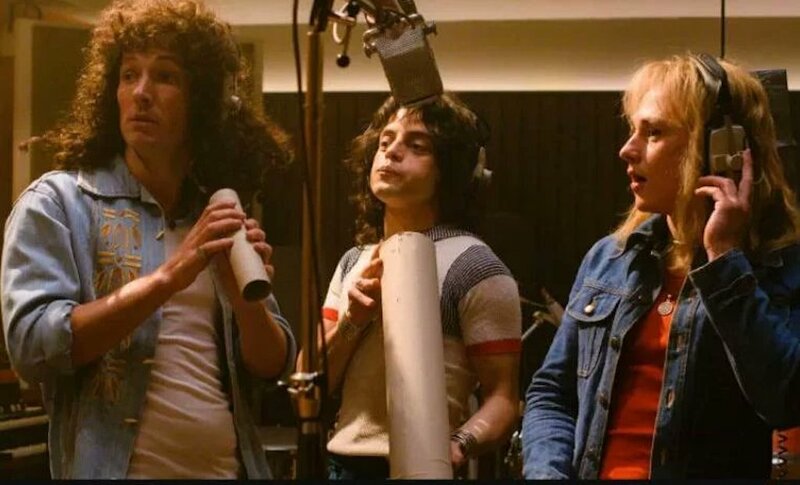 The actual recording of “We Will Rock You” took place in 1977 when Mercury didn’t have a mustache and still had long hair. It is true that May wanted to write an anthem, though. He wanted a song that the audience could get involved in. It’s hard to keep a band together. 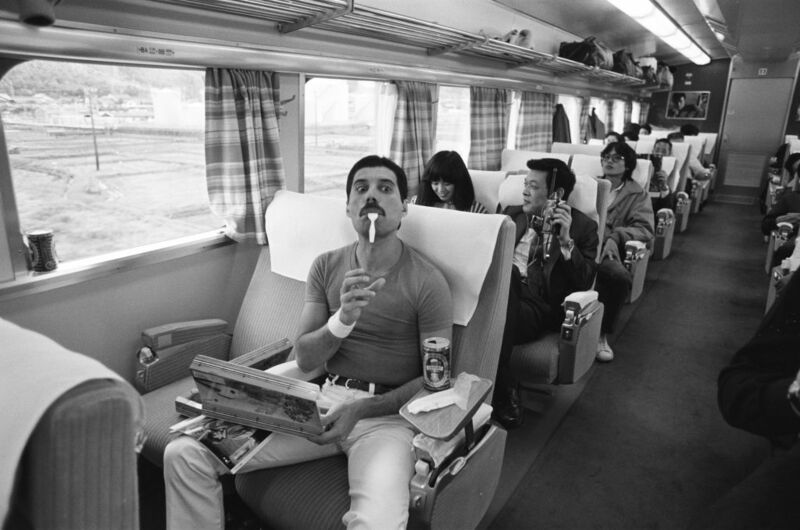 Even though the members of Queen mostly got along, they all had strong personalities, and they fought over song ideas and various creative decisions. In the movie, when Freddie announces that he wants to go solo, we get the impression that Freddie broke up the band. 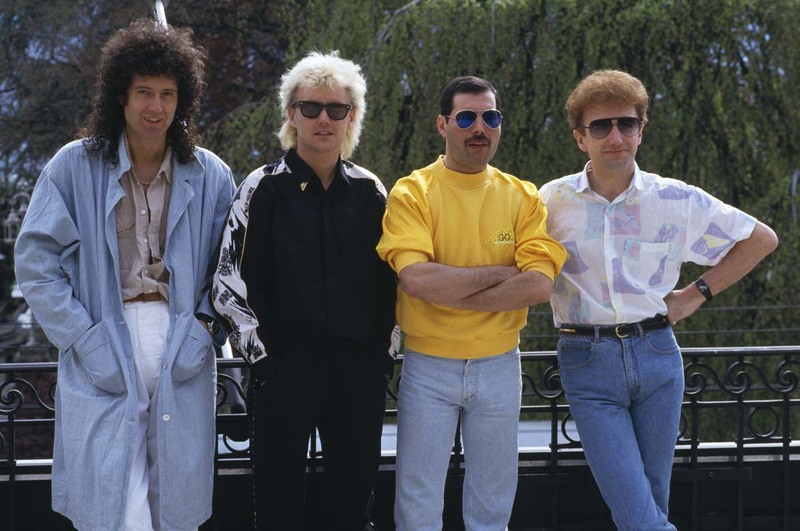 In reality, all four members of Queen were in agreement that they needed to take a break after 1982’s Hot Space. Members were always leaving the band, but they also always came back. In the Live Aid concert scene in the film, you can see the 1980s Pepsi logo emblazoned all over the stage. In 1985, Pepsi agreed to be the major sponsor of the concert. They paid for things like building the stage, refreshments, staff wages, and security. The BBC doesn’t usually allow commercial sponsorship, but they agreed to air the concert anyway because of its unique historical and humanitarian significance. The band performed at Wembley Stadium free of charge and they weren’t paid for their performance. 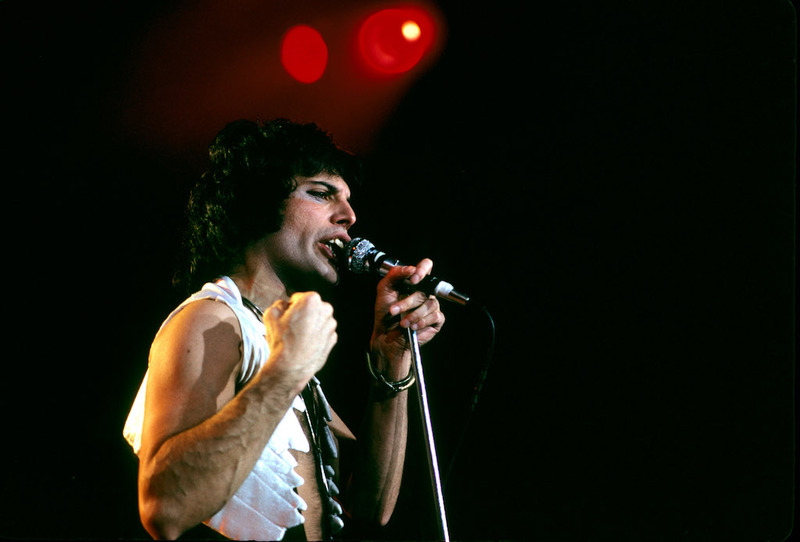 While Freddie and Mary are lying together, Freddie reaches up over his head to play her the now-famous Bohemian Rhapsody piano intro for the second section of the song. Rami Malek is actually playing the correct notes in order, which is quite a difficult thing to do without looking, upside down, and backward. Obviously, Rami Malek was very dedicated to this role. Some of Freddie’s musical genius probably rubbed off on him. This film wasn’t triple X-rated, but Sacha Baron Cohen definitely wishes it was. That may have been a better tribute to Freddie’s memory. 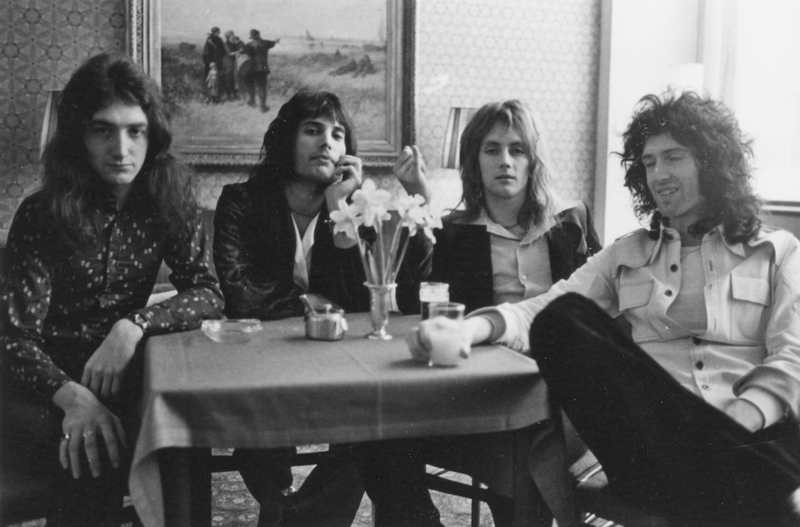 John Deacon retired from the band in 1997 and didn’t want to be involved in the creative process of Bohemian Rhapsody. But he did give the film permission to use the songs that he wrote. Brian May and Roger Taylor were the only members of Queen who actively contributed to the creation of the film. 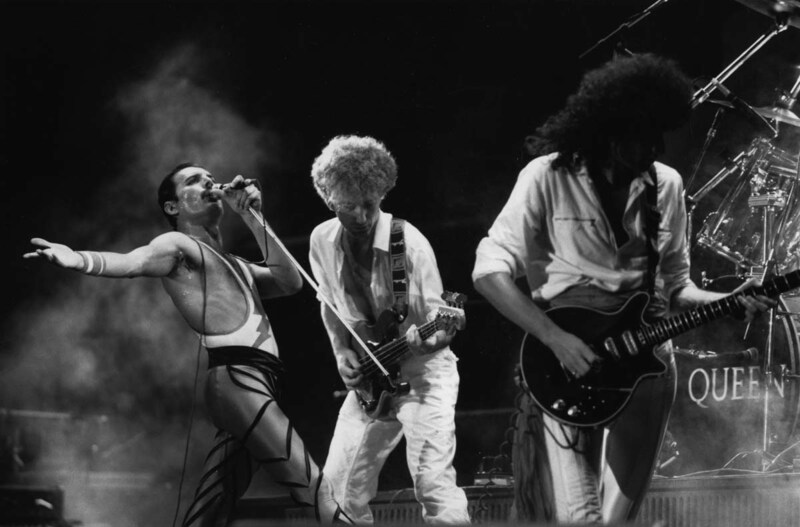 They’re also the only two members still involved in Queen-related projects. Deacon lives a quiet life in the suburbs with his wife and children. I think she’s going to be pretty thrilled if either her film or Bohemian Rhapsody takes home the Oscar. Both films are deserving, so it’s just going to come down to how the Academy votes. 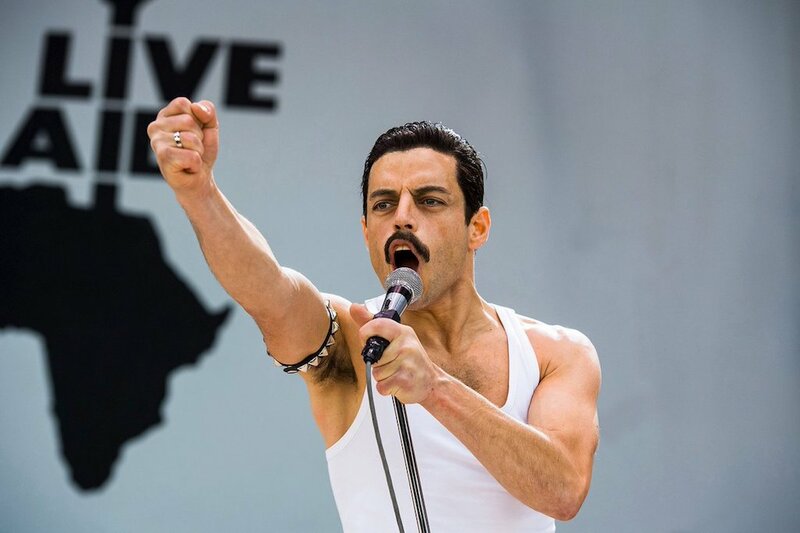 When you watch the film, you’ll notice that Mercury reveals that he has HIV-positive to his Queen band members during the Live Aid London performance in 1985. However, there is no exact date or time of when he contracted the illness and that information still remains a mystery. Mary found out the results of the test in 1987 simply because Mercury didn’t want to pick up the phone call from the doctor. The band then found out about his condition in 1989. The movie shows that Freddie Mercury links up with his band members at Wembley Stadium for the Live Aid London show back in 1985. This came years after none of them were on speaking terms. Unfortunately, the film also got this wrong! The band only came together again eight weeks before their Wembley Stadium performance. You can’t blame the film makers, however. There are always a few details you need to stretch or add in to make for a better film. How Did Malek Prepare For Such A Huge Role? It can’t be easy preparing for such a remarkable and huge part. Especially if its going to be one of the biggest roles of your young career. Just how did Rami Malek prepare for this part? He did his homework. You know they say greatness takes timing. Back in 1975, the average time it took for a band to record an album was three weeks. That’s just to give you a little perspective for the three week recording time it took for Bohemian Rhapsody. Mercury began writing the song at his home in London. By the time he brought it to the studio, his product would eventually need over 180 vocal overdubs. The band began recording in Wales in 1975 before moving to several studios in London. It took 12 hours alone for one section of vocal overlays. You’d have to imagine that a song taking three weeks to complete mustn’t have been cheap. That’s 28 days of studio time and calling in the right people for the song. Plus all the highly technical elements made it far more expensive. Bohemian Rhapsody was on the album A Night at the Opera. That album ended up costing 40,000 British pounds to produce (thats the same as $500,000 in the U.S. today). Most of it came from that one song. Naturally, when a biopic or anything bringing real life to art is in the works, the people its based on would want things to be as close to the truth as possible. 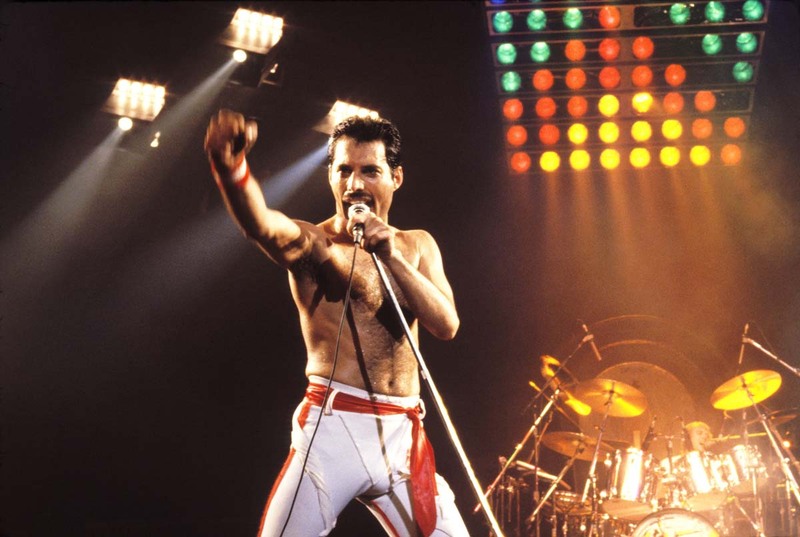 This story began with Graham King wanting to make a movie about Freddie Mercury. He brought the idea to the members of Queen around 2008. Sacha Baron Cohen was very active in recruiting people for this movie. He got Peter Morgan, the man behind Frost and Nixon and The Queen to make the script. Reportedly, also pushed for several directors with experience in making dark dramas like Tom Hooper (Les Misérables and The King’s Speech). This requests are what ultimate pushed Cohen away from the project. Queen wouldn’t approve any of the directorial choices in the end. That’s got to hurt someone’s creative ego. Movie trailers for movies that carry high amounts of hype and expectation can get tricky, especially those based on true stories. When the trailer for Bohemian Rhapsody trailer came out, mixed reviews flew in. People were upset that they didn’t show Mercury’s conflicting sexual identity. Imagine a movie about a flirtatious, sexual band member receiving a rating of PG-13. Oh, you don’t have to imagine because that’s how it happened. The rating doesn’t allow for fans to get the full experience of Freddie Mercury and that’s where the outrage was. 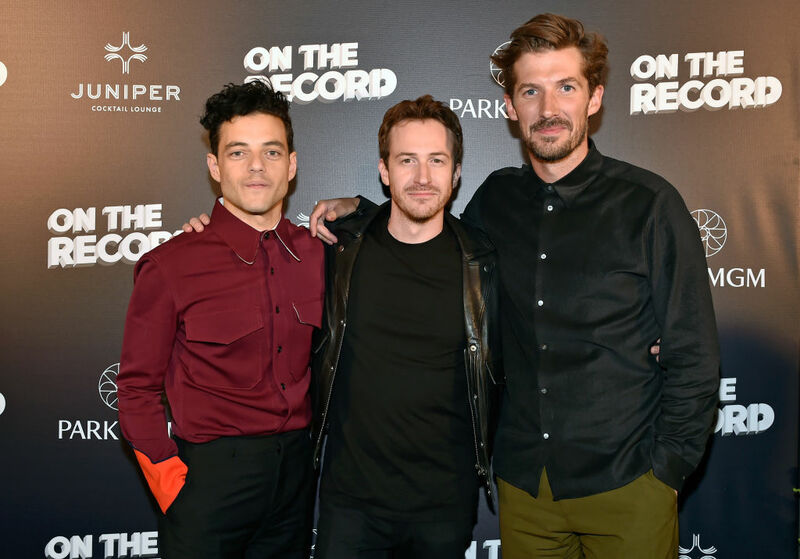 Former members of the crew questioned the decision to not make the film rated R because they thought that it would sanitizing it. One critic Steven Hyden said that Mercury “did not live a PG-13 life,” doing his life a disservice. Because Queen wanted the song released as a single but the record company didn’t, they had to take matters into their own hands. Mercury wanted to prove the song was radio worthy (after three weeks to complete, it had better be radio worthy), he took it to his DJ friend Kenny Everett. Mercury only wanted Everett to give his opinion on it but he loved the song so much he couldn’t resist putting it on the air. By the end of the weekend, the song spun 14 times on the radio.